By the 1960’s Americans were deserting the big cities for the sunbelt and west coast in record numbers. With the birth of the Los Angeles Angels in 1961, the American League too finally stretched all the way the Pacific. The new team would soon move to Anaheim and become the California Angels, and they are known today as the Los Angeles Angels. The Senators were moved to Minnesota where they still play as the Twins. A new version of the Senators moved into the DC Stadium in Washington but fared little better and would eventually move to Arlington in Texas in 1972 where they became the Rangers. The National League added two new teams – the New York Mets and the Houston Colt .45’s who would later be renamed the Astros, who would eventually move to the American League in 2013. For baseball and the USA, times were changing fast. The 1960 World Series saw the mighty Yankees back in the Fall Classic and they would face the Pittsburgh Pirates who were in their first appearance in the World Series since 1927 and looking for their 3rd World Series title and first since 1925. As you can see the Yankees seemed to pulverise them but they could not put them away. Game 7 at Forbes Field, was also a topsy turvy affair as the Pirates jumped out to a 4-0 lead after 2, only for the Yankees to strike back with a 4 run 6th to get ahead 5-4 then added 2 in the top of the 8th to lead 7-4. The Pirates’ ship appeared to be sinking but they were about to get some luck that they would only get at home. In the bottom of the 8th the Pirates started with a single, then the next batter Bill Virdon hit a double play ball to Yankee shortstop Tony Kubek but the ball hit a pebble and hit Kubek on the face! So instead of 2 out and nobody on it was 2 on, 0 out and the tying run came to the plate. The play would prove vital as the Pirates would eventually score 5 runs in the inning including a 3 run homer by Hal Smith. The Pirates now led 9-7 and needed just 3 more outs to win the World Series. However, these were the Yankees and they hadn’t dominated the 1950s for nothing and they managed to tie it up 9-9 in the top of the 9th. The Pirates had given their all but the Yankees were remaining defiant. The first man up for the Pirates in the bottom of the 9th was Bill Mazeroski and he would be facing Ralph Terry. 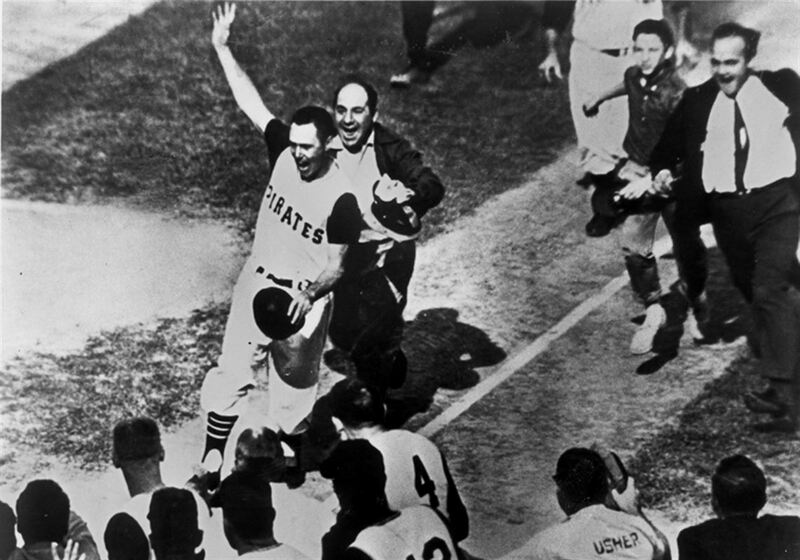 On a 1-0 count Mazeroski hit a long drive over the left field fence and the Pirates had won the World Series on a walk off home run. The only such time this has happened in a Game 7 of the World Series. In the summer of 1961, the record of 60 home runs in a single season, set by Babe Ruth in 1927 and once thought unbreakable, was under threat. With the quality of pitching thinned by expansion and the season lengthened to 162 games, Ruth’s record suddenly seemed within the grasp of not one but two Yankee outfielders – Roger Maris and Mickey Mantle. Mantle was now in his 11th year with the Yankees, but still the best switch hitter in the game, despite the pain from injuries that never left him. Roger Maris was his roommate, a reticent, moody newcomer from North Dakota, uneasy with the press, but boy could he hit. In 1960, he was voted the AL MVP. 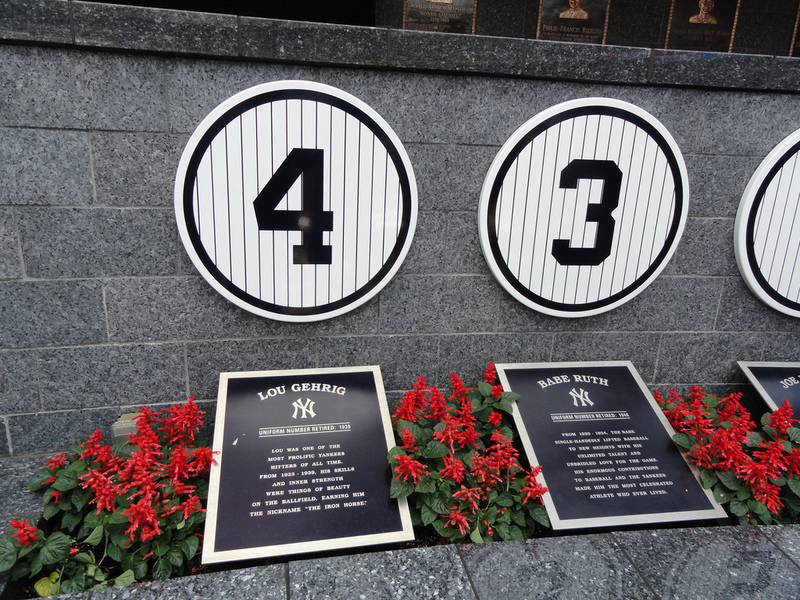 In 1961, Mantle started strongest and by the time Maris had hit 4 home runs, he had 10. However, in midsummer, Maris surged ahead, slamming 24 home runs in 38 games. He wasn’t Babe Ruth and Yankee fans never let him forget it. Even the front office reportedly tried to change the lineup to favour the more popular Mantle. Under the relentless strain, Maris’ hair began to fall out. Always taciturn, he now kept silent, refusing most interviews, keeping to himself. Admirably, through it all Maris kept hitting, and in mid-September Mantle’s injuries finally forced him out of the race with 54 home runs. In the locker room before the 154th game of the season, with the Yankees only 1 win away from yet another AL Pennant, and Maris 2 homers short of Ruth’s record, he broke down. His manager, Ralph Houk, consoled him in his office. “If I can help win the game with a bunt, would you mind if I bunted? It wouldn’t make me look bad would it?” he asked. However even this triumph soured, because the new longer season had provided Maris 8 more games in which to hit than Ruth had been given, Baseball Commissioner Ford Frick suggested that an asterisk appear next to Maris’ name in the record books. Maris would only play for 7 more seasons, suffered from debilitating injuries, and never rediscovered the form of this season, and was never forgiven by some for breaking Ruth’s record. “It would have been a hell of a lot more fun if I had never hit those 61 home runs. All it brought me was headaches,” Maris told a friend towards the end of his life. 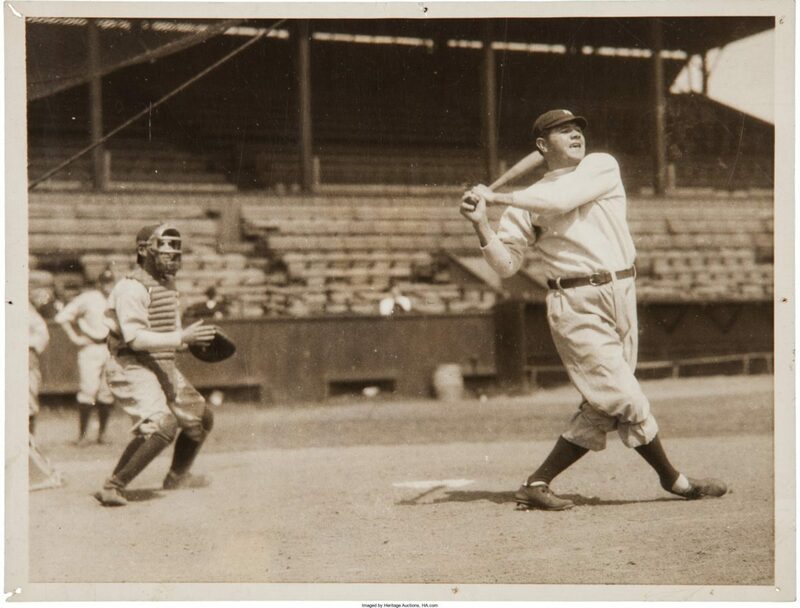 Another of Babe Ruth’s records was broken shortly after Maris had broken the home run record. This time it was a pitching record that was broken and it was beaten by another Yankee. During his time as a pitcher, Ruth put together a stunning scoreless innings streak across the 2 World Series in 1916 and 1918, of 29 2/3 innings without conceding a run which was a record for World Series play. In Game 4 of the World Series in 1961, facing the Reds, a left hander named Whitey Ford broke Ruth’s record and would eventually extend the scoreless innings streak to 33 2/3 innings. As a sidenote the Yankees appeared in the first 5 World Series of the decade, winning 2 (1961 and 1962) but after 1964 they would not appear in the World Series again until 1976, ending a spectacular dynasty of 15 American League Pennants and 10 World Series titles in 18 years between 1947-1964. Before I talk about Koufax, I want to add a little sidenote to this part. Commissioner Ford Frick was staggered by the amount of home runs hit in 1961. The Yankees for example had hit an all-time record of 240 home runs as a team and Frick would turn out to be what his name could be cockney rhyming slang for. He completely overreacted and somehow managed to convince the team owners to widen the strike zone, making home runs harder to hit and therefore ushering in a golden age for pitchers. Such as Sandy Koufax for example. Koufax was born and raised in a Jewish neighbourhood in Brooklyn, he hadn’t planned on being a ballplayer and he didn’t even like the game that much, preferring basketball and wanting to become an architect. However, the speed in which he threw a baseball attracted the attention of scouts for the Brooklyn Dodgers and they signed him at the age of 19 and sent him directly to the majors. His career did not get off to a promising start and for 6 frustrating years he threw the ball at lightning speed but had zero control. Between 1955 and 1960 his statistics were very average: 36-40 with a 4.10 ERA. In 1961, a veteran catcher named Norm Sherry, quietly told him he didn’t need to throw so hard to get men out. In 1961. his career took a turn in the right direction despite giving up more runs than in any of his seasons so far, went 18-13 with a 3.52 ERA, got an All-Star appearance and led the league in strikeouts with 269. He led the league in ERA, pitched a perfect game and 4 no hitters, winning the Cy Young Award 3 times and 2 World Series titles despite persistent excruciating pain from an elbow permanently damaged before he had learned to pace himself. Koufax had to apply massive heat to his arm before every game, then plunge it in ice water after it was over. He was a gentleman, he did not argue with umpires, did not throw at batters and engaged in no theatrics. His 382 strikeouts in the 1965 season was 33 more than the next highest number of strikeouts in a season, by Rube Waddell in 1904. In 1965, the Dodgers would face the Twins in the World Series and Koufax gained national attention as he refused to pitch Game 1 due to it falling on a Jewish holiday, Yom Kippur. His replacement, Don Drysdale, lost 8-2 and Koufax lost the next day 5-1. 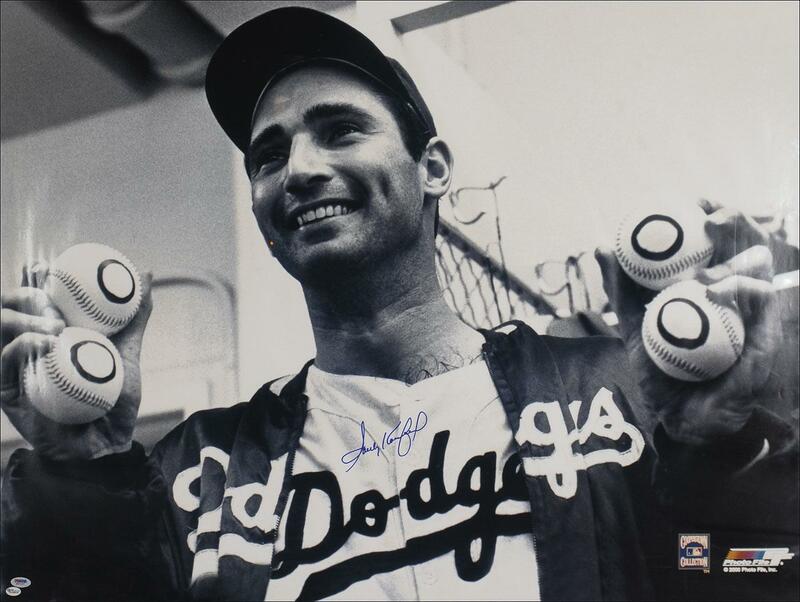 The Dodgers won the following 3 games in Dodger Stadium with Koufax pitching a complete game shutout in a 7-0 win, allowing just 4 hits, walking 1 with 10 strikeouts. The Twins however would force Game 7. On just two days rest, Koufax was pitching again and he gave one of the most spectacular and memorable pitching performances of all time. A performance that Twins legend Harmon Killebrew called the greatest pitching performance he’d ever seen. 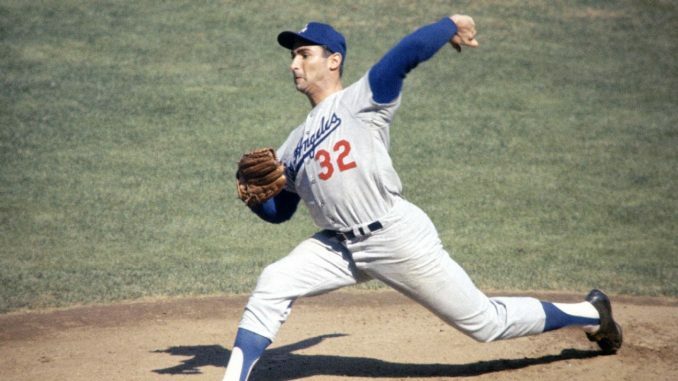 Koufax pitched yet another complete game shutout as the Dodgers won 2-0, allowing just 3 hits and 3 walks with 10 strikeouts. In 1966, the Dodgers would face the Baltimore Orioles in the World Series and the Orioles won it 4-0 and Koufax shocked the baseball world after the series by announcing his retirement aged 31 from the game due to an arthritic condition from which he suffered. In 4 World Series that he participated in over his career he pitched in 8 games, 7 as a starter, and amassed a 4-3 record with a microscopic 0.95 ERA over those games. 1968 was the “Year of the Pitcher” with many pitchers dominating the league such as Denny McLean, Luis Tiant, Don Drysdale and Catfish Hunter. However, one man stood out. Between 1961 and 1967 Bob Gibson, a right-handed starting pitcher for the St. Louis Cardinals, put up consistent, solid numbers. In those years he amassed an impressive 119-77 record with a 2.99 ERA and 1465 strikeouts. In 1968, however he put up numbers that would defy logic. His regular season record was 22-9 with an incredible 1.12 ERA with 268 strikeouts. It was the lowest ERA by a pitcher since Dutch Leonard’s 0.96 ERA in 1914. The best single season ERA in either league since Gibson was Dwight Gooden of the Mets in 1985 with a 1.53 ERA. Unsurprisingly this year Gibson won the Cy Young Award for the NL but also the MVP which is a rarity for a pitcher. Amazingly Denny McLain of the Tigers also won the Cy Young and MVP that year, for the AL. It’s the only time the MVP went to pitchers in both leagues in the same year. I guess, appropriately, it was only right that Gibson and McLain and their respective teams met in the World Series that year. In Game 1, Gibson faced McLain and made his mark, striking out a World Series record 17 batters which is a record that still stands today, in a 4-0 Cardinals win. Gibson won Game 4, again against McLain, 10-1 and gave Cardinals a seemingly unsurmountable 3-1 series lead. However, the Tigers came back to force Game 7 in which Gibson was pitching again but the Tigers would prevail in a pitcher’s duel between Gibson and Mickey Lolich by 4-1. As a result of the dropping offensive statistics, Major League Baseball Rules Committee took steps to reduce the advantage held by pitchers by lowering the height of the pitcher’s mound from 15 inches to 10 inches, and by reducing the size of the strike zone for the 1969 season. 1969 also saw a change in the structure of the divisions in both leagues. Both leagues would now see 2 divisions, an East and West division and the winners of each division in each league would battle it out in a series known as the Championship Series, and the winners of each would meet in the World Series. The New York Mets between their first season in 1962 and 1968 were the worst team in the Majors, finishing last 5 times and 9th twice in the 10 team National League. 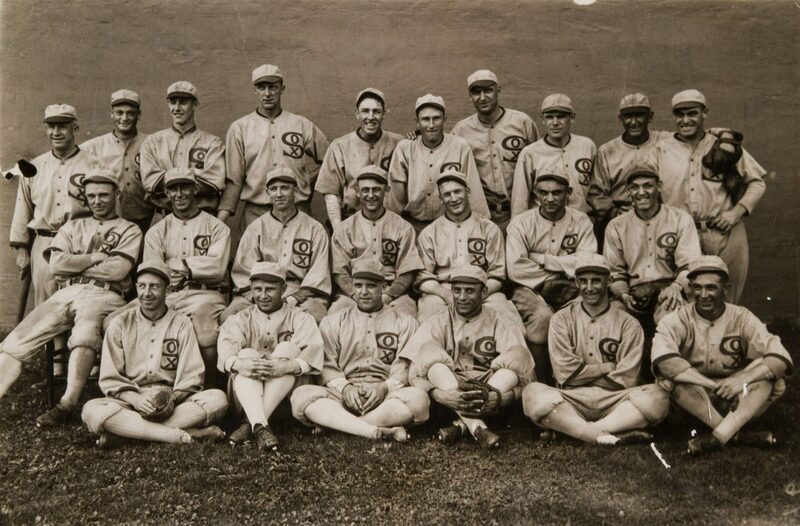 Their collective record over that time was an excruciatingly bad 394-737 and their record in their first season was 40-120 and was the most losses by any MLB team in one season since 1899. Since then, the 2003 Detroit Tigers have come the closest to matching this mark, at 43-119. Despite the futility of the team in the 1962 season, fans came out in droves. Their attendance of 922,530 was good enough for 6th in the National League that year. 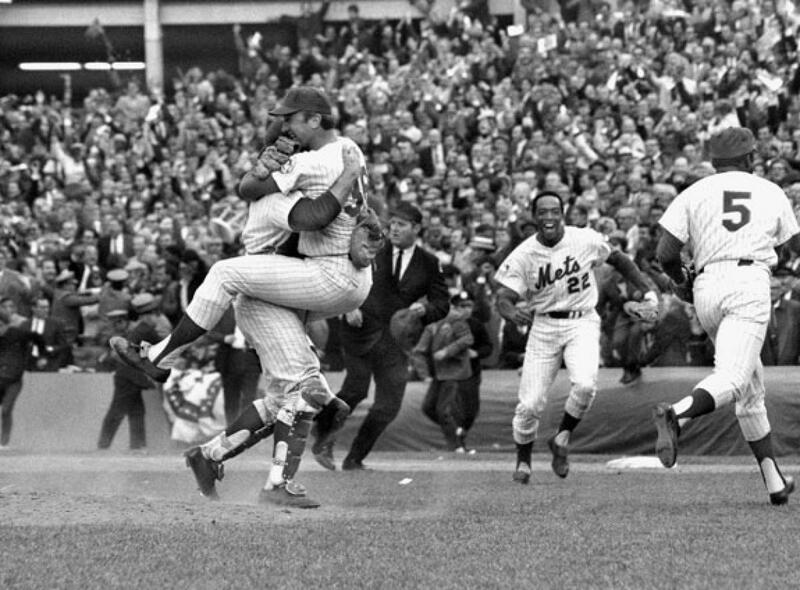 Their struggles all changed in 1969 however when the Mets were simply amazin’. With great pitching and decent defence, but not much offense, the Mets were only 18–23 through their first 41 games. They then reeled off a club-record 11 straight wins. Starting with their 42nd game, the Mets went 82–39 for the rest of the season. In second place most of the season behind the Chicago Cubs, the Mets were in third place, 9 ½ games back, on 13 August. They won 14 of their last 17 games during August, and 24 of their 32 games during September and October, to surge past the Cubs, finishing 100–62, eight games ahead of the Cubs. The Mets faced the Atlanta Braves in the first ever NLCS and swept them 3-0 and would face the powerful Baltimore Orioles in the World Series who had gone 109-53 during the regular season, 19 games ahead of 2nd place, and had swept the Twins in the ALCS. The Orioles were heavy favourites and hit the Mets superstar pitcher Tom Seaver early in Game 1 as Don Buford hit Seaver’s 2nd pitch for a home run and the Orioles would go on to win 4-1. However, that would be as good as it got for the Orioles in the series as they only managed to score 5 runs in the next 4 games, with a batting average of just .146, as the Mets showed what made them so amazin’ due to the great pitching of Tom Seaver, Jerry Koosman and a young Nolan Ryan and some timely superlative defensive plays by Tommie Agee and Ron Swoboda. Having lost Game 1, the Mets went on to win the next 4 games 2-1, 5-0, 2-1 and 5-3 to clinch the most unlikely World Series of all time and possibly the biggest shock in sports history until Leicester City won the English Premier League in 2016. Long suffering ranting Mets fan. Sports history buff, cover sports minute by minute on Twitter, main guest on a regular baseball podcast, occasional blogger about sports and David Wright hero worshipper.